Need a concrete pour? We can implement concrete designs throughout your landscape. We’ll work with you to perfect the design that you want for your landscape, and we can implement that design ourselves. We can pour patios, walkways, and more! Jeff Fuller embodies your Jackson- and Memphis-area landscape architects. We know landscape design, and as a design-build landscaping company, we provide services that are all-inclusive. Let us work with you to design the ultimate patio or perfect walkway. If you have an existing landscape built out in your property, we can work to integrate your walkway or patio into that design. If you haven’t landscaped yet, we can provide design that works with the undulations of your property and your home. We understand that your patio ought to be the ultimate hangout, and it should accent your home. We can integrate the concrete of your patio with masonry and stonework to give your home (your castle) the ultimate outdoor accent. Similarly, it’s our goal to make your walkway look great and feel like a seamless fit in your landscape. If your landscape is full of curvilinear structures, we can work in curves. If you have a modern landscape with bold, straight lines, we can do that too. After design, it’s on to pouring. We’ll excavate and pour our concrete design. Here at Jeff Fuller Designs, we have experience to back our concrete pours. That means no mistakes, a pristine finish, and complete clean up once the job is done. Concrete is built to last. 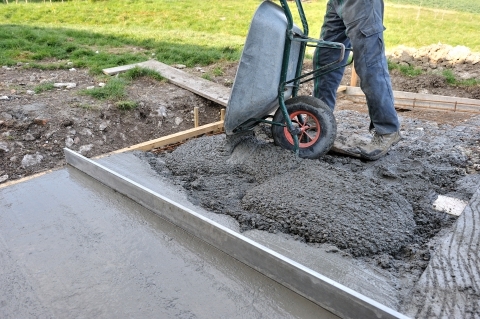 Let us make your long-lasting concrete pour perfect. Ready to get started? Get in touch with us today to earn a free quote!